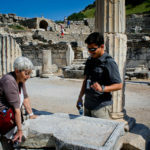 WAVEJourney is happy to participate in #FriFotos – weekly sharing of photographs following a particular theme on Twitter. This week the theme is chairs. 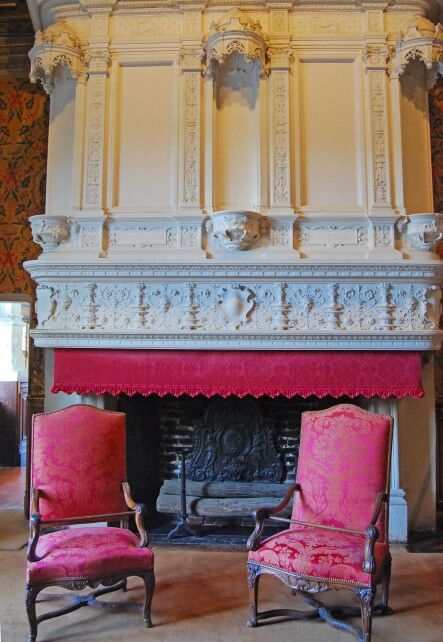 The following four photos are of WAVEJourney’s favorite chairs that we saw on a recent visit to Chateau Chenonceau in France’s Loire Valley. Enjoy! Above Photo: Chairs and fireplace in Diane de Poitier’s bedroom. 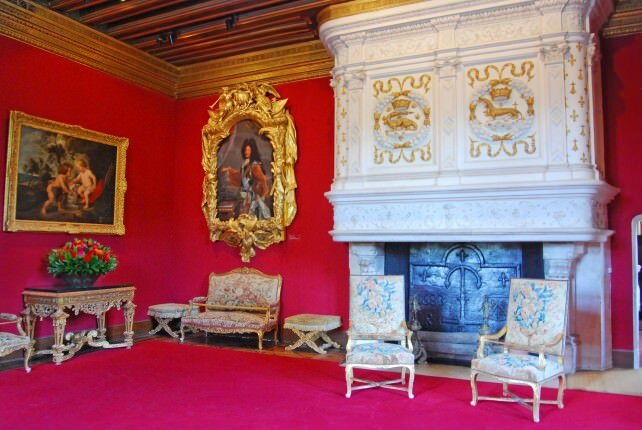 Above Photo: Chairs and fireplace in the Louis XIV living room. 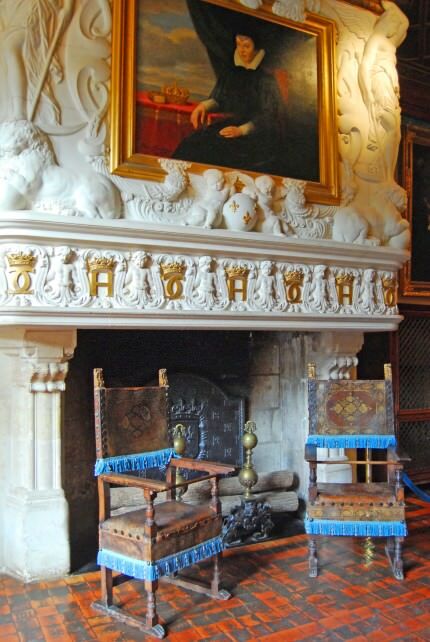 Above Photo: Chairs and fireplace in Francis I bedroom. 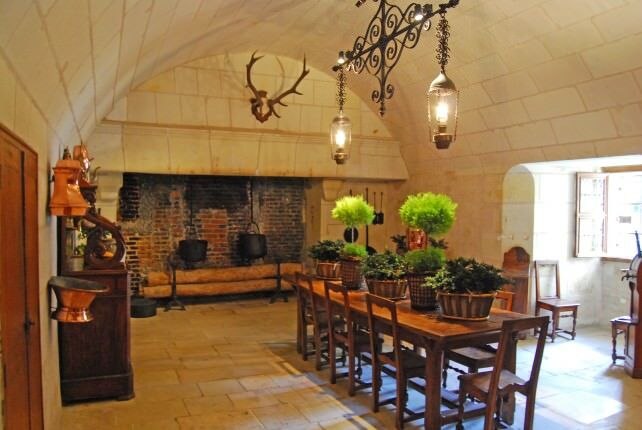 Above Photo: Chairs in the old kitchen, where the staff would eat, at Chateau Chenonceau. Chateau Chenonceau, one of the most famous chateaux in the Loire Valley, is located not far from the town of Tours, and spans the River Cher. The chateau, known as “The Lady’s Castle”, was built as a small manor house in 1513 by Katherine Briçonnet, with additions being made by various owners ( including Catherine de’ Medici – wife of King Henry II of France). 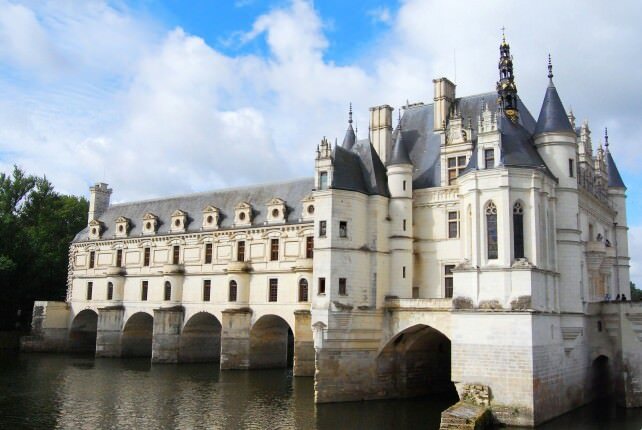 Today, visitors from around the world may visit Chateau Chenonceau and its beautiful grounds and gardens. A self-guided audio tour using an iPod Touch is a great way to visit the manor building. 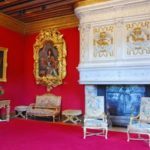 – It is possible to visit Chateau Chenonceau on a day trip from Paris. 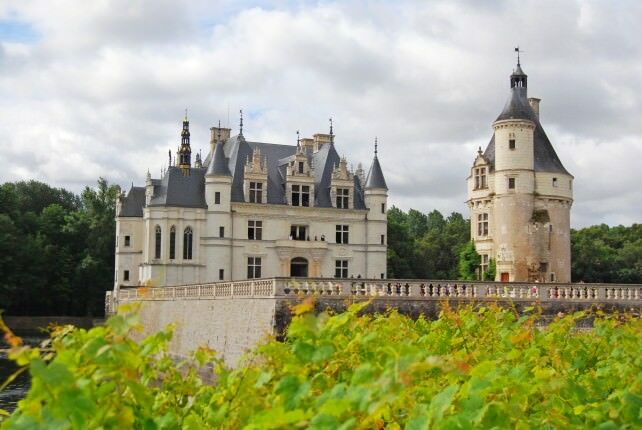 Take the train to the town of Chenonceaux and walk the short distance to the castle. The Loire valley with all the castles is one of my two favorite places in France. I could lie in the town of Amboise. 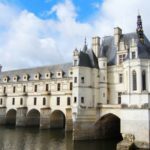 Sue, we missed Amboise – Guess that just means it’s on our list for a future visit. 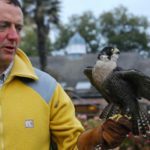 Our time in the Loire Valley was far too short. But, we found it to be another beautiful area of France and can’t wait to return and explore more. 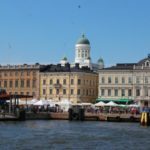 We think we’d like to rent a motorhome and spend at least a month in the area.